The five fundamentals of fact fluency, which provide a research-based framework for effective instruction in the basic facts. 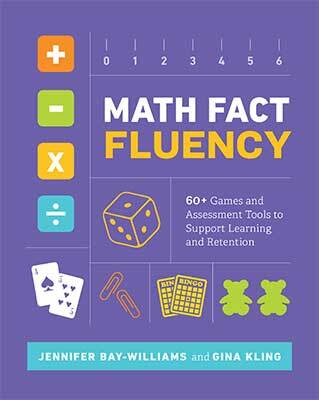 This book is a copublication of ASCD and NCTM. Jennifer M. Bay-Williams is a mathematics teacher educator at the University of Louisville, Kentucky. She has written many articles and books related to K–12 mathematics education. Bay-Williams taught elementary, middle, and high school students in Missouri and in Peru. Gina Kling is fortunate to serve the mathematics education community in a variety of ways. Since 2011, she has worked as a curriculum developer for the elementary mathematics curriculum Everyday Mathematics (based at the University of Chicago) with a focus on grades K–3.